The case is composed of stainless steel with both brushed and high polished surfaces. Keep a polishing cloth handy, as the bezel is all high polished and will need to be wiped down quite frequently. The case measures 47.2mm in diameter and almost 52mm including the crown. The lug tip to lug tip measurement is nearly 57mm but still allows for a nice curve in the case design to prevent extreme overhang on the wrist. The watch weighs a mere 103 grams, so taking into account all of the dimensions along with the weight, this model should feel quite light and comfortable on the wrist but with some pause, which I will speak on later in the review. 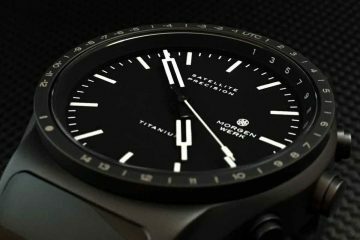 The nearly 57mm lug tip to lug tip measurement should make those of us with larger wrists feel pretty confident about how the watch will sit across the wrist. Since the model is a chronograph, the standard function pushers are located on either side of the large signed 10mm diamond style crown. 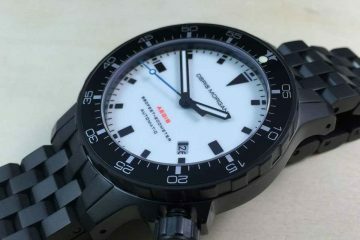 The model is setup with a lefty design, as the crown and function pushers are located on the left side of the case, but that shouldn’t prevent anyone from wearing the watch on their left wrist if they choose to do so. Keep in mind the function pushers operate in the opposite way from the standard chronograph setup. At 10mm, the screw down crown is extremely easy to grasp and engage. The crown on this particular example is quite firm with no play whatsoever. The Pilot Aviator is fitted with a large sapphire crystal measuring nearly 39mm in diameter which provides are great view of the large dial. The crystal does have a nice anti-reflective coating which keeps glare at a minimum. Beneath the crystal is a glossy black dial, which has dial markers and numerals painted on the dial in a glossy white finish. The dial is setup as a Nav B style with the minute numerals painted on the dial rather than hour indicators. 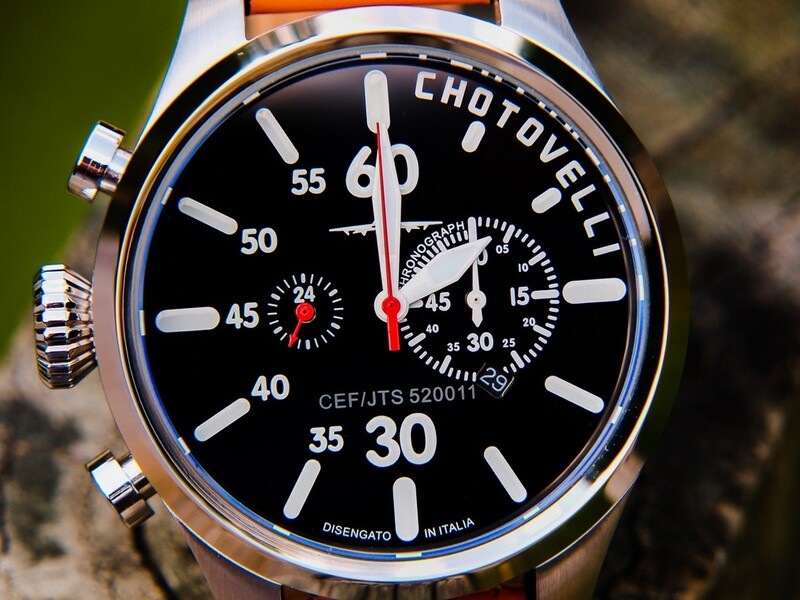 I really like how Chotovelli went with some modern flair by only using the numerals on the Nav B style dial from the 30 to the 60 rather than around the entire dial. The dial is extremely clean and uncluttered with logos and branding placement at appropriate locations on the dial. 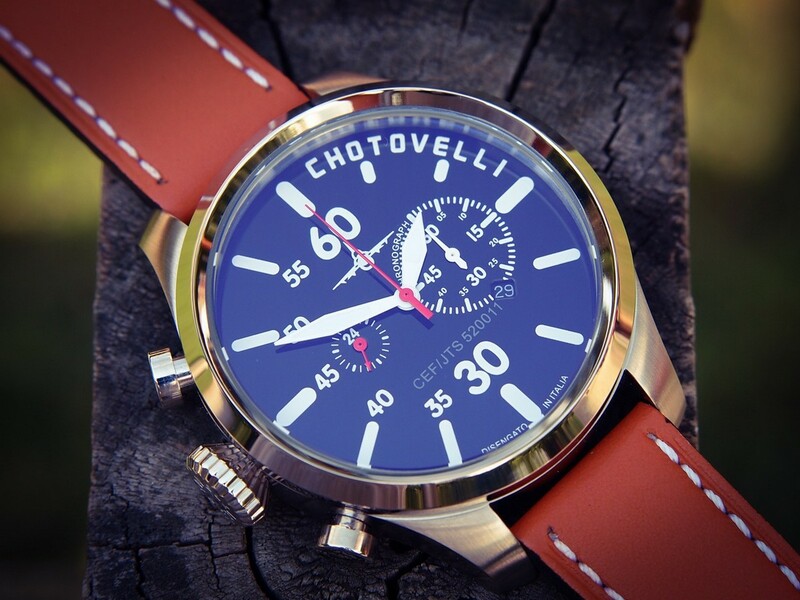 The chronograph layout is slightly different than many chronograph watches, as instead of a one or two eye design, the Pilot Aviator only has one chronograph eye which is the 60-minute accumulator at the 3 o’clock position. The central red hand functions as the true chronograph second hand while the sub-dial at the 9 o’clock position shows 24-hour time. When the watch first arrived, at first glance, I didn’t notice a date function on this particular model. After closer inspection, I discovered a rather small date window positioned in a rather peculiar location just below the 30-minute mark on the chronograph minute accumulator. I am not overly fond of date windows on my watches anyhow so I actually like the camouflaged type design, which may or may not also appeal to many others. For those readers that consider themselves lume freaks, I have to report there is very little lume on this model. The hour and minute hands have a small amount of lume, which doesn’t glow brightly and has very little longevity. 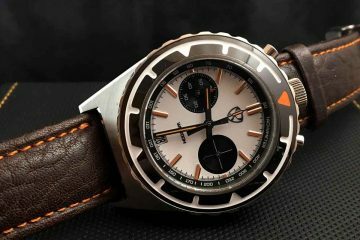 Overall, the dial is quite appealing providing a significant amount of surface area which is clean, uncluttered and will allow for easily discerning the time, which is of the utmost importance with pilot style watches.